ARCA's Lincoln Hall - Go Foxburg! Allegheny RiverStone Center for the Arts’ Lincoln Hall stands on the upper level of the Foxburg Library. What used to be the library auditorium, Lincoln Hall has hosted numerous concerts, events and functions over the past several years. The concert hall features The Mighty Wurlitzer – an old Wurlitzer organ with all the bells and whistles, literally. This remarkable instrument was restored by Paul McKissick, who himself is an accomplished Wurlitzer player, over a period of 10 years and is now one of only twelve functioning Wurlitzer theater organs in the world! The Mighty Wurlitzer features all the associated drums, cymbals, bells as well as automatic piano. Visitors are awestruck upon seeing the organ demonstrations which are held from time to time. 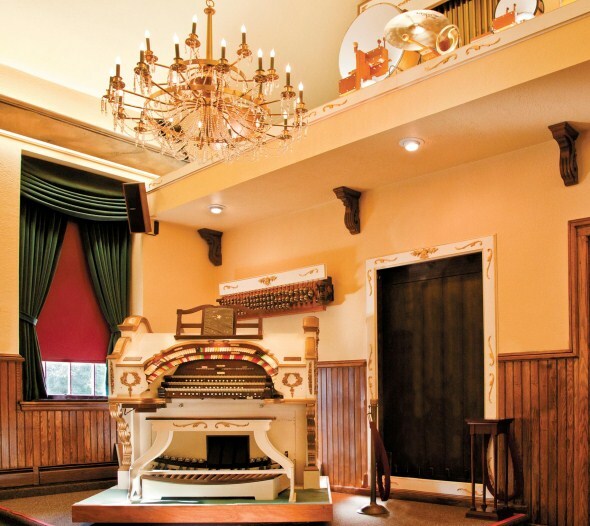 The Allegheny RiverStone Center for the Arts’ McKissick Mighty Wurlitzer was built in 1928 at the Wurlitzer Organ factory in Towanda,New York, outside of Buffalo and numbered OPUS 1989. The organ originally was installed in Cleveland’s Uptown Theater. It was played for several years accompanying silent movies. It is one of twenty-four built in its size and style and is today one of the best examples of this class of theater organ. With the end of the silent film era it was subsequently purchased by Richard Wheeler, a Cleveland organist and remained in his home until Wheeler died. In 1998, Paul McKissick purchased it from the Haynes Company in North Canton,Ohio, where it had been in storage, destined for a pizza parlor in Florida. Paul McKissick lovingly and painstakingly rebuilt the instrument, which retains its ornate French console, over the next eleven years. In 1999 the restored McKissick Wurlitzer was installed in Paul and Sally McKissicks’ garage at their home at Lake LaTonka near Mercer, PA. The organ became known as the LaTonka Pipes and Paul and Sally hosted annual benefit concerts on the LaTonka pipes and held receptions in their home to raise money for the De Bence Museum in Franklin, at which Martin Ellis and others performed. 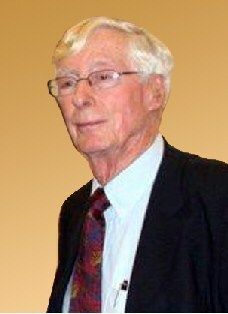 At this time, Dr. Arthur and Patricia Steffee attended organ performances and benefits at Paul’s home. When Paul decided to downsize and was seeking a place for the Wurlitzer for the next generation, Dr. Steffee offered to purchase The McKissick Mighty Wurlitzer and give it a home in Foxburg at Lincoln Hall, on the second floor of the Foxburg Free Library. The space was being renovated and restored as a performance venue for the Allegheny RiverStone Center for the Arts. Check out Alllegheny RiverStone Center for the Arts’ website and facebook page for more information.